For all the disagreement in the industry about the future of aviation, there’s perfect accord on one point: There’s going to be a lot more of it. The world’s air passengers flew a combined 7.64 trillion kilometers (4.75 trillion miles) in 2017, according to Boeing Co.’s latest 20-year market outlook. 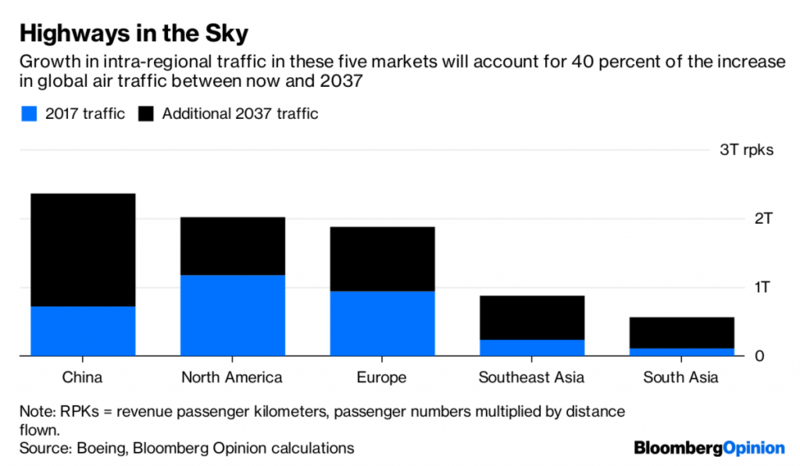 By 2037, that will rise to 18.97 trillion kilometers, with about 40 percent of the increase happening within five intra-regional markets: China, India, North America, Europe and Southeast Asia. That’s sparking a battle over the biggest bottleneck holding back this growth: airports. The governments that still own many of them should be more open to privatization to cover a $78 billion funding gap in needed capital investments, the Airports Council International, an industry group, argued in a report earlier this year. Airlines, airports’ biggest customers, see things differently: Costs at privatized terminals are higher and governments should be cautious about such actions in the interests of expanding the aviation sector as a whole, the carriers’ body, the International Air Transport Association, argued the same month. The proximate cause of this fight is probably the enthusiasm in President Donald Trump’s administration for selling off U.S. infrastructure. All but a handful of U.S. airports are owned by the government, thanks in part to tax-advantaged bonds and federal funding that’s available only to public terminals. The set-up is so unattractive to private operators that only two sites have bothered to privatize since a federal program to encourage such moves was established in 1996. 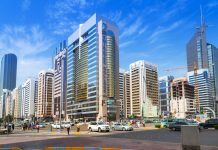 Leveling the playing field between public and private operators could go a long way toward kindling private investment. That’s unlikely to solve the root problem, however. Privatizing an airport doesn’t necessarily make it more efficient. One 2008 study found there was little difference between the performance of airports 100 percent-owned by commercially oriented government corporations and those majority controlled by private businesses. The key is instead to avoid structures where the incentives for managers are confused or misaligned, such as where private companies are brought in as minority investors or where managers are essentially bureaucrats swayed by political imperatives. There’s a better solution out there, but it’s not likely to be very attractive to incumbent airlines, airports, or passengers enamored of the current generation of gleaming terminals: Build more, cheaper airports. For all that airlines like to see airports as monopolies, there’s often a great deal of competition between them. Airlines that don’t like the charges at London’s Heathrow can go to Gatwick, or Stansted, or Luton, or Southend, or City Airport instead. If Amsterdam Schiphol pushes up charges too much, it may find carriers and passengers defecting to Brussels, or Dusseldorf. Charges for hub traffic at Singapore’s Changi airport are kept competitive by the threat that rival hubs in Bangkok, Dubai, Hong Kong or Kuala Lumpur will steal away international carriers with better pricing. 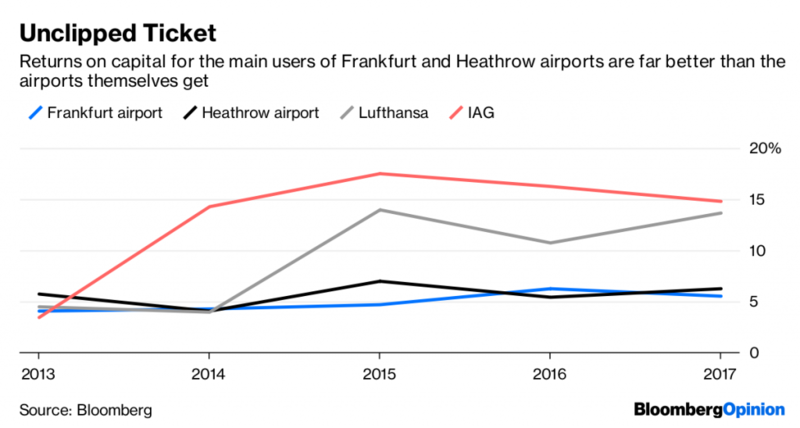 Both Heathrow and Frankfurt airports post lower returns on capital than their cornerstone airline customers. The route planning and customer proposition needs of major airlines are best served if they can funnel all their passengers through single state-owned mega-airports. Charges may be somewhat higher, but incumbent players will end up with dominant positions, excellent connectivity with other flights on their networks, and infrastructure funded from the public purse below the cost of capital. 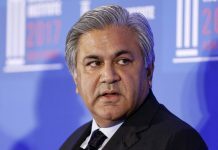 Still, the better option is to follow what Southwest Airlines Co. and Ryanair Holdings Plc have achieved in the U.S. and Europe, and spread the coming wave of traffic across a much greater range of airstrips — including those, such as the Navi Mumbai site on the outskirts of India’s biggest city, that don’t even exist yet. That’s probably how the world will accommodate its future demand for air travel, but don’t expect it to be as gleaming as the present. Soaring architect-designed roofs, Prada concessions and day spas are all in their way a symptom of the inefficiencies of our current congested airports. One 2016 study found that airport revenues actually start falling once capacity goes above about 25 flights per hour, as a reduction in delay times reduces the retail spending that can account for about half of revenue at major terminals. So savor the boutique shopping and caviar bar at your next visit to an airport. Outside the walled gardens of business-class lounges, the future of aviation is likely to be a whole lot more functional.